FIFA is struggling to move on from the most tainted chapter in its history, even as it attempts to award another World Cup. With less than three months to go until the host of the 2026 World Cup is decided, FIFA is still assessing allegations of skullduggery around the voting more than seven years ago for the 2018 and 2022 tournaments. 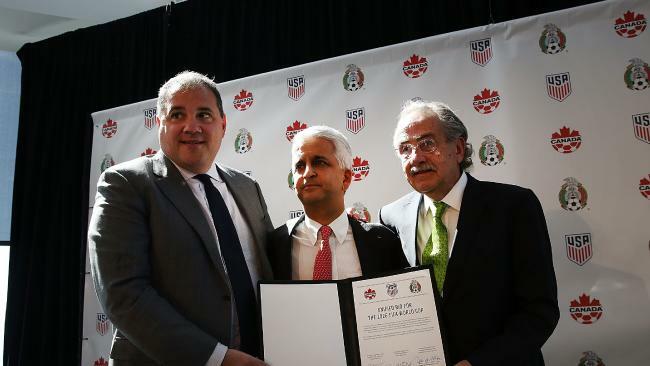 Can the expedited contest between North America and Morocco really be bulletproof, free of scandal, as soccer's governing body promises? There's intrigue around a process that could see FIFA disqualify a bid before the June vote if it can't meet the requirements for the first World Cup after the leap from 32 to 48 competing teams. Morocco's stadiums require significant upgrades to get close to matching the infrastructure boasted by the North Americans, whose bid includes 16 NFL venues awash in the luxury seating required by FIFA. But if Morocco is not struck off by a FIFA task force lacking true independence, the vote could be closer than anticipated in part due to new procedures intended to signal a break from the secrecy of the past. Not only is the decision open to every soccer nation, rather than just the ruling executive that had chosen the World Cup sites from 1986-2022, but each vote is set to be published. That exposes officials to potential intimidation. The voting regulations will be finalized by the FIFA Council on Friday, which is also the deadline for the bid books to be received. Bid bureaucrats traveled to Zurich to hand over the host city contracts, financial estimates and stadium proposals - rather than star footballers- reflecting a campaign shorn of the razzmatazz witnessed in the buildup to the 2010 votes won by Russia for 2018 and Qatar for 2022. Students at the Business of Sports School wait for the announcement of the winner of the bid to host the 2022 World Cup. While the USA was thought to be a front runner, Qatar won the bid. The United States-led bid, which includes Canada and Mexico as minority partners, hoped to be awarded the hosting rights to one of the biggest events in sports without facing a challenge. The FIFA Council had other ideas at a meeting last May, giving Morocco a chance to prevent a coronation. But while the Americans opened their official campaign in April, the Moroccans did not launch theirs in public until January. Morocco's bid has been cloaked in secrecy: the international communications team declined to send The Associated Press a copy of the media pack being distributed domestically. It contained no specific details on the construction requirements and mis-states that 17 people were wounded, rather than killed, in a 2011 Marrakesh bombing in a section seeking to offer assurances on safety. While the U.S. hosted the World Cup in 1994 before failing to land 2022, Morocco has been unsuccessful four times. Moroccan officials express irritation when pressed on bribery allegations surrounding its 2010 World Cup campaign that form part of ongoing criminal proceedings in the United States. Morocco will be hoping the American investigations into FIFA deter voters from taking the World Cup to a country so determined to expose wrongdoing within soccer. Inflammatory comments by U.S. President Donald Trump that have offended parts of the world could also work in Morocco's favor. 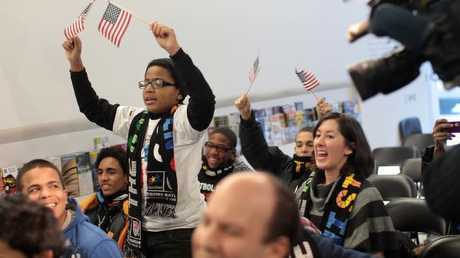 FIFA has faced criticism from the home city of the U.S. Soccer Federation. Chicago refused to sign up to the bid because it believed the tax waivers and legal provisions required pose a risk to the city and shareholders. Vancouver, which hosted the 2015 Women's World Cup final, said its bid was rejected because it refused to comply with FIFA's requirements that include putting agreements under Swiss law. The bids offer distinctive proposals. Is FIFA in the mood for another gamble? Morocco poses more logistical challenges and risks for FIFA, which will be coming off a complex tournament in Qatar in 2022. There's significant building work required to upgrade stadiums. The largest venue, in Casablanca, has a capacity of 67,000, whereas FIFA will want a venue with at least 80,000 seats for the opening game and final. Only five other stadiums have a capacity in excess of 40,000. North America is the easy option. The U.S. would host 60 games in venues requiring only minor construction work, such as hospitality and media facilities, and is touting three stadiums with more than 87,000 seats. Canada and Mexico, which has the 87,523-capacity Azteca Stadium, will settle for 10 matches each up to the round of 16. North America will be hoping voters are dazzled by its financial proposition. It's certainly more favorable for FIFA, which is trying to return to profitability after being hit by the cost of corruption scandals, and the governing body could secure more funds to redistribute to member nations. FIFA would earn $300 million more from the North American broadcasters if the 2026 World Cup is played in the region under the terms of contracts negotiated to stave off legal action for shifting the dates of the 2022 tournament in Qatar to November, where it overlaps with the NFL and college football seasons. --- FIFA'S TAKE As chief commercial officer at FIFA, Philippe Le Floc'h is responsible for replenishing coffers. That largely requires squeezing cash out of corporate sponsors and maximizing television revenue. In 2010, the now-discredited FIFA executive committee all but ignored the FIFA- produced technical reports that identified Russia and Qatar as the highest-risk bids among nine candidates. Now a restyled five-man task force, dominated by European officials, will make inspection visits, then grade and score the bids. Those marks could play a key role in the contest. Since the panel includes FIFA's deputy general secretaries - Zvonimir Boban of Croatia and Marco Villiger of Switzerland - it could prove highly contentious if a bid is disqualified. FIFA's Council must approve the verdict of the task force before the Congress votes. Infrastructure, of which half relates to stadiums, accounts for 70 percent of the panel's mark. The remaining 30 percent is based on projected costs and revenues. "The scores have a bearing on whether or not a bid qualifies for the next stage of the bidding process, with bids shortlisted by the FIFA Council," according to FIFA. Up to 207 of the 211 member federations will vote on June 13 in Moscow, with the four bidding members excluded. In aiming for transparency, FIFA's pledge to publish the choice of each member could affect the voting. The secret ballot in presidential elections allows members to vote freely and defy orders from regional or continental leaders. 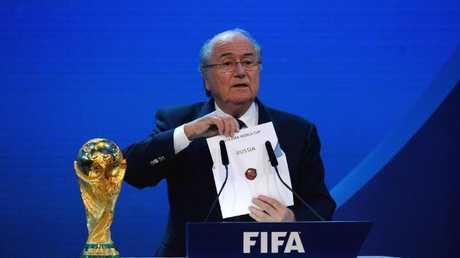 Sepp Blatter was president when FIFA last voted on men's World Cup hosts. While championing Morocco, Blatter questions whether it can count on all 53 votes from Africa. "Africa is not always united," Blatter said. But he believes the Americans are "afraid ... and give the impression that they are not any longer very sure that they will win."